- Online training and support for teachers. - Full access to online resources and activities. - Full schemes of work and weekly lessons delivered to each teacher. - Downloadable worksheets, posters and books. - Seasonal and topical music lessons delivered throughout the year. - Special courses for resource teachers. - A range of online interactive resources designed for all levels of musical experience. - Creative, fun and accessible activities for everyone. - Uses a new system of music notation designed specifically for primary schools. - Regular courses delivered through local education centres. - Hosted by DabbledooMusic creator Shane Mc Kenna. - Introduces teachers to new DabbledooMusic method. - After school workshops for teachers. - The perfect way to introduce DabbledooMusic to your school. DabbledooMusic.com has over 40 interactive resources and activities designed to get children learning about music and making music in the classroom. The resources take users step by step through the music curriculum covering all area of the three strands; Listening, Performing and Composing. The resources are divided into 5 areas, each one introducing different musical concepts, through activities and fun musical characters. Our online school makes it easy for teachers and school to receive lesson plans, courses and schemes of work that make up the music curriculum. 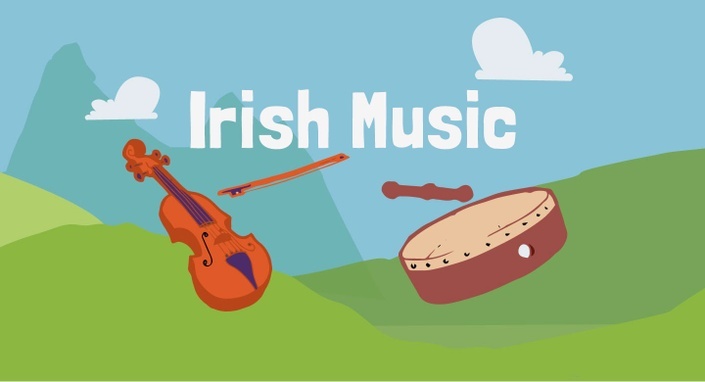 Our full curriculum covers all classes from junior infants to 6th class and feature music resources and activities that will have the entire school making music every week. The full curriculum provides weekly lesson plans, lessons and schemes of work for each individual teacher delivered through email to assist term and yearly planning. Each week is laid out step by step ensuring that the full range of musical concepts are covered each year. "An amazing resource for the classroom"
"We can now cover all parts of the curriculum, never touched before......brilliant"